Every Wednesday, January 9—April 17, 10:30 am —12:00 pm Banish the winter doldrums. Join us at the Somers Library for a writing class for all levels where participants can be creative and share their efforts in class. Each week writers will have their creativity challenged in different ways. 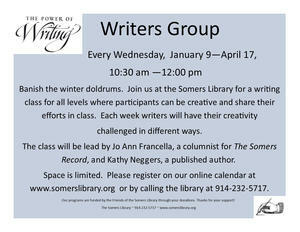 The class will be lead by Jo Ann Francella, a columnist for The Somers Record, and Kathy Neggers, a published author. Space is limited. 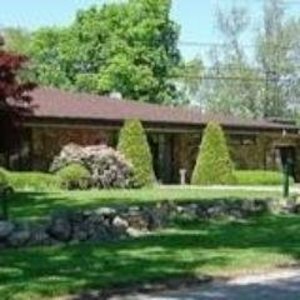 Please register on our online calendar at www.somerslibrary.org or by calling the library at 914-232-5717.